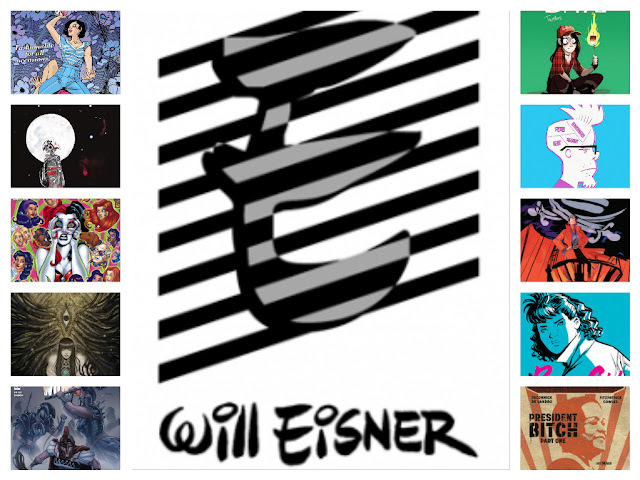 The 2016 Will Eisner Award nominees have been announced and it's a diverse collection of excellent and deserving comic book creators. Independent publishers like Fantagraphics and Image lead the pack of nominees with 17 and 14 nominations respectively while the Big Two, Marvel and DC Comics, have 10 combined. Few books had multiple nominations this year as the jury decided to spread the wealth. Monkeybrain’s Bandette, Top Shelf’s March: Book Two, Ed Piskor’s Hip-Hop Family Tree, and Fantagraphics' The Eternaut each earned three nominations. More importantly, women saw an increase in nominations from 44 last year to 61 this year. They were nominated in almost all categories and outnumbered their male counterparts in some categories. Take a look at all the categories below and see if your favorite writer, artist, book, etc were nominated this year. Winners will be announced during this year's San Diego Comic-Con.